Ho Chi Minh City saw a high economic growth rate in the first six months of the year, but the growth was not sustainable as it has yet to produce a higher standard of living for city residents, or improve the urban environment. The statement was agreed to by participants at the 18th session of the seventh HCMC People’s Council on July 5 to review the socio-economic performance in the first half of the year and make plans for the second half. According to permanent vice chairman of the city’s People Committee Nguyen Thanh Tai, in the first six months of the year, HCMC’s economy continued to recover and experienced a high rate of growth in most fields. The city’s Gross Domestic Product (GDP) saw a year-on-year increase of 11 percent, equal to the pace set before the global economic crisis and higher than the total growth of 2009. Services increased by 10.8 percent, while industry and construction rose 11.3 percent and agriculture, by 7.5 percent. 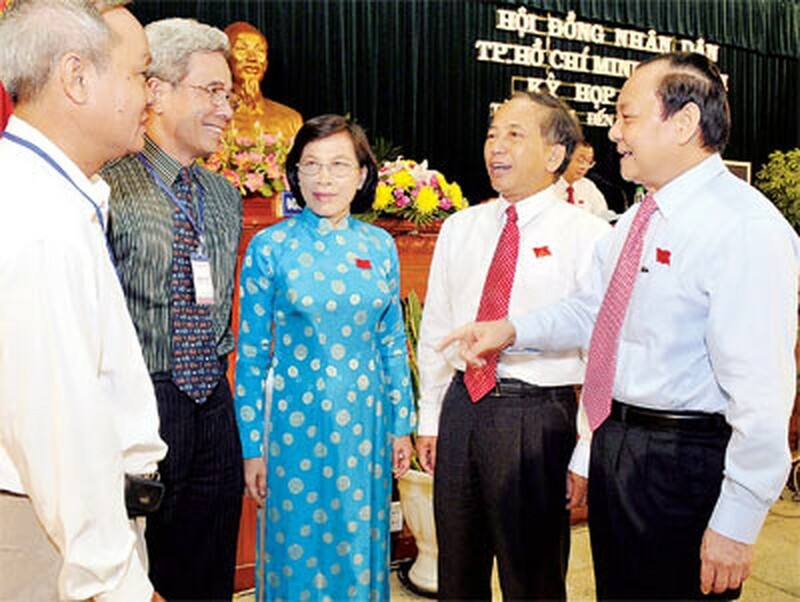 The council’s chairwoman Pham Phuong Thao said though the city’s economic growth soared, the socio-economic situation has still faced difficulties and challenges. She pointed out that the higher interest rates have troubled businesses and producers; the progress of many projects remained slow; traffic congestion and environmental pollution have not been completely resolved; lives of low-income residents remain still difficult; there were limitations in planning and construction management; management of cultural activities was not good and food safety has yet to be ensured. Deputy Nguyen Minh Huong said the city’s infrastructure did not develop synchronously along side economic growth, which was accompanied by floods, traffic jams, pollution, housing shortages and a continued low standard of living for many residents, all of which indicate that economic growth has been unsustainable. 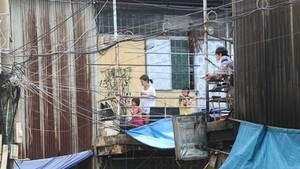 Deputy Nguyen An Binh said the evolution of the city’s urban civilization was too slow, while the city has become a huge construction site with fences and roadwork everywhere that has created pervasive disorder. There were not sufficient facilities for people to practice urban civilization, he said, adding that roadbeds and sidewalks were still encroached by peddler’s pushcarts. Deputy Nguyen The Thanh said while the sidewalk issue had yet to be resolved, the city has allowed a portion of sidewalks to be exploited, leading to the disappearance of pedestrian walkways on some roads. Deputy Ngo Minh Hong suggested the city have urban policies to deal with violations relating to urban civilization. Calling upon residents’ self-awareness of practicing urban civilization is not enough; violators must be penalized and strict sanctions are needed, he added. Participants also showed their much concern over urban management. Deputy Nguyen Van Minh complained that the city had planned to move schools and hospitals to a specific concentrated zone, but has licensed construction of buildings in the city center. These buildings are for offices and apartments but they don’t have enough space for parking so people have to park their cars on streets, he added. Deputy Ngo Minh Hong said the city’s construction density is lower than that of some regional countries, but it isn’t airy like these countries. She blamed the city’s ineffective planning and urban management during the past years, which has led to overloaded traffic, disorderly construction and air pollution. The ineffective planning had a bad impact on the socio-economic development, she added. She said that though the city’s economy grew, living conditions for its residents were still poor due to floods and traffic jams. Deputy Huynh Cong Hung, deputy head of the council’s Economy and Budget Committee, said new urban areas popped up everywhere while the planning agency failed to properly monitor them. The planning agency could not keep up with the rampant unsystematic construction of urban areas, which led to patchwork development, in which many areas lacked water, power, transport systems, schools, hospitals and markets, he said. Mr. Hung said the planning cannot be exclusively geared toward short-term benefits, but has to contain a vision for the midrange to long term future.